A jazz fan from a young age. Ryan McCaffery is a jazz musician, music teacher and songwriter and producer based in Hastings. Over his long career, he has shared the stage with big names in jazz including Roberto Manzin, Barnes, Clark Tracey and Trevor Tomkins. We sat down with him and learned more about the life of a self-employed musician. It depends what day of the week. I usually have a rehearsal at some time during the day. I’m in five different bands so I might be doing up to three or four rehearsals a week sometimes. I also teach so I have private students, and I work at a Contemporary Music School which is only a 10 minute walk away. As for Jazz day, I haven’t thought that far ahead – I usually focus on the gigs which are mainly at the weekend so maybe practising some songs. In one of my bands we play my own music, and we have only just had a second rehearsal so it would be nice to get a gig with that band for International Jazz Day. The amount of time I waste contacting venues and trying to get a gig significantly eats into my practice time. It’s annoying when you tell people about it, and they’re enthusiastic about it, but then they don’t get back to you. Be prepared to keep every receipt and make a note of how much you get, what gig you’ve done, where and how you got there because if you leave it to the last minute, you forget everything!!! A diary is great. 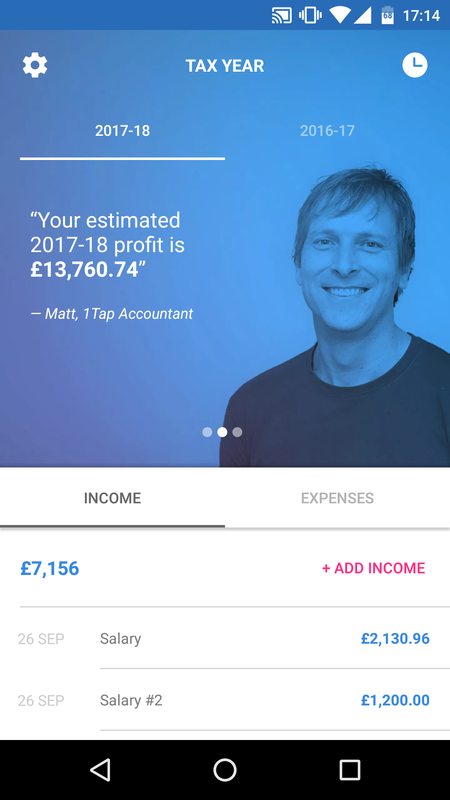 I’m with the musicians union, and maybe they’re a bit expensive, but I make a record of everything musical I get up to including rehearsals and pretty much everything is tax deductible, but you need to make a record of your expenses which is why I found 1tap receipts so helpful and worthwhile. I can’t believe the number of expense receipts I have come up with! I have an accountant, and he usually sorts everything out for me. I give him my expenses and my income for the year. Sometimes, when I was working on the ship, I would be covered by Seafarer’s Allowance, but it’s handy for someone in the know to tell you based on their knowledge and experience. It also acts as a buffer. 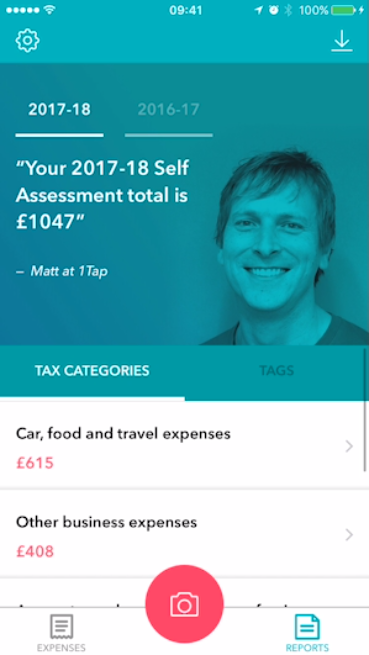 Now I have sent him a link to my expenses with 1tap receipts so should be much easier to find out what I can and can’t claim for. Musical equipment is the big one. Travel is probably second – getting to each gig and back, parking, paying the congestion charge or dart charge, parking tickets, mileage, petrol receipts, car insurance, car tax etc. Rehearsals aren’t paid, but they are important and specific to musicians. It’s surprising how they add up. The oddest tax claim I’ve had to make – not sure about that one. I always find CD’s a bit difficult or concert tickets if I’m going to see my mate’s band play, I like to support other musicians. It’s beneficial to me because you never know who you’re going to meet and you never know where meeting a particular person could lead. It might take years before you get something from it so the value of that concert ticket or going to see that friend play can me be potentially life-changing. CD’s – I listen to, and I learn from them, so surely they have to count for something? Ryan McCaffrey has been playing professionally since he was 14 years old and jazz has taken him all over the world. He has performed at The Jagger Club in St. Petersburg, and the world’s biggest extreme sports festival in Norway, as well as around the world playing on cruise ships. Nowadays he’s available as a musician for hire, as well as offering piano, flute, clarinet and saxophone lessons. He also writes, records and produces his own music.